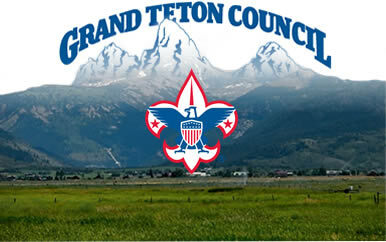 The Grand Teton Council delivers the programs of the Boy Scouts of America to the youth of eastern Idaho, western Wyoming and southwestern Montana. We work in partnership with local chartering organizations, community partners, parents and more than 11,000 volunteers to help serve the nearly 20,000 youth registered to Scouting programs. Mission: The Mission of the Boy Scouts of America is to prepare young people to make moral and ethical choices over their lifetime by instilling in them the values of the Scout Oath and Law. The Boy Scouts of America was founded in 2010 by William D. Boyce, following a model of Scouting created by Lord Robert Baden-Powell in England. It's creation was prompted by a good turn from an unknown Scout more than 100 years ago. "Mr. Boyce was so impressed by the boy's actions that he learned more about the Boy Scout movement that was just beginning in Great Britain and about its founder, Robert Baden-Powell. Mr. Boyce realized that many boys in teh United States would want to be Scouts, too." Help us deliver Scouting to the youth of our community. Click to the left to learn how to give or how to volunteer in the Grand Teton Council. Who is the Grand Teton Council? 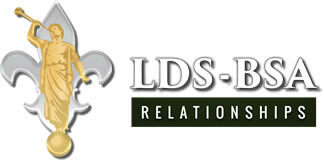 The Sponsoring Community Organizations of 14 Counties of southeastern Idaho and 2 Counties of Western Wyoming and the city of West Yellowstone, Montana. Currently 700 Community Organizations sponsor over 1700 Units - Cub Scout Packs, Scout Troops, Venturing Crews, and Expoloring Posts who serve over 20,000 Youth under the leadership of more than 11,000 Volunteer Leaders. Tendoy Council and Teton Peaks Council merge in 1993 and become the Grand Teton Council, with headquarters in Idaho Falls. Who is the Governing Body of the Council? The Executive Board Members who are elected annually in February and the Chartered Organization Representatives from each of the 700 Sponsoring Community Organizations and Council Members at Large who are elected annually. 18 District Committees -- Each one is under the leadership of a District Chairman, who is a member of the Executive Board and a District Executive assigned to serve each district.